Not enough room in your bowling bag? Want a fun, lightweight backpack from Storm? You are in luck! 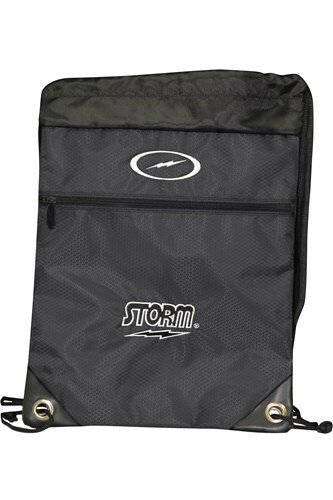 Storm has designed a lightweight, string backpack perfect for any Storm fanatic. Can this backpack fit in a rolling ball bag and can it be used to store cleaners and polish and if not do you have any thing that can be used to store cleaner and polish? Hello. Yes this would be a perfect bag to store cleaners and polishes in. Due to the time it takes to produce the Storm String Backpack Black ball it will ship in immediately. We cannot ship this ball outside the United States.